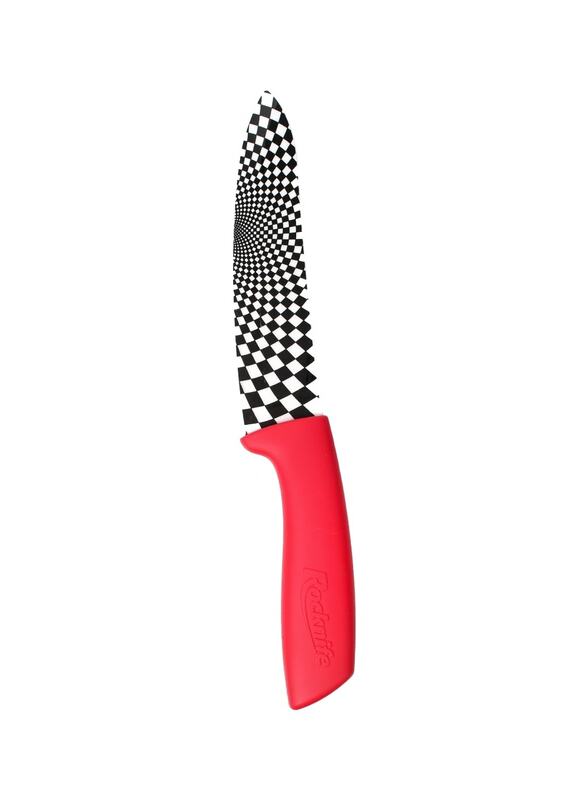 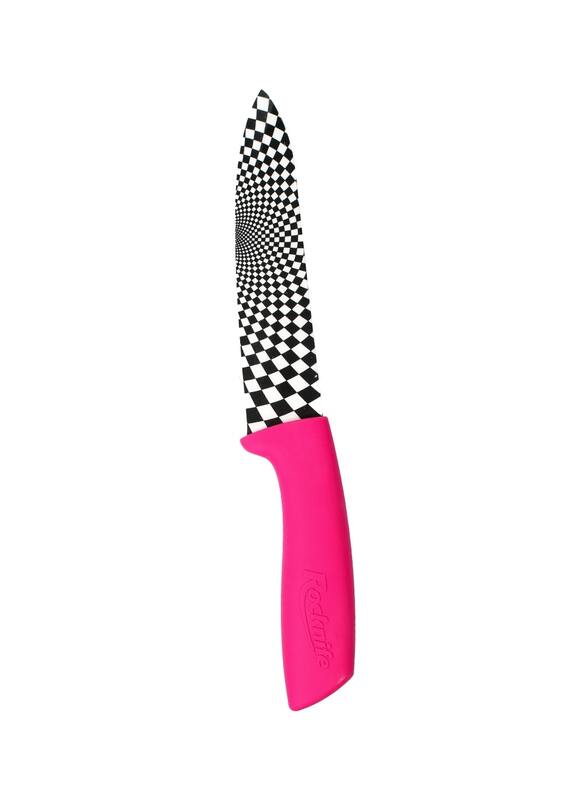 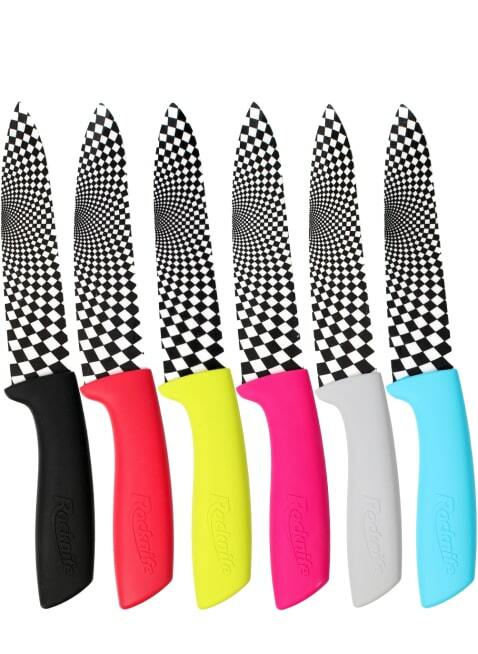 The Rocknife Professional Chef's Knife with a 6 inch ceramic blade is the ultra sharp and useful all round kitchen knife, suitable for all types of food preparation and kitchen work either at home or in the work place. Ideal for slicing fruit such as Pineapple, Melon, Mango or Grapefruit, or vegetables such as potatoes, beef tomatoes, aubergines and pumpkins, made from zirconium oxide the toughened blade has a sharpness that will last for years due to the hardness of the material. 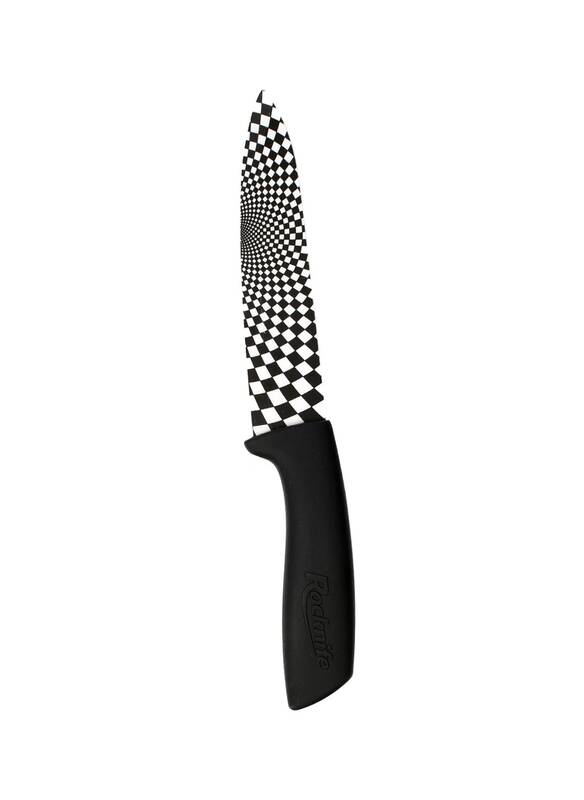 No residues are left on the sliced fruit and vegetables, so everything stays fresh for longer. 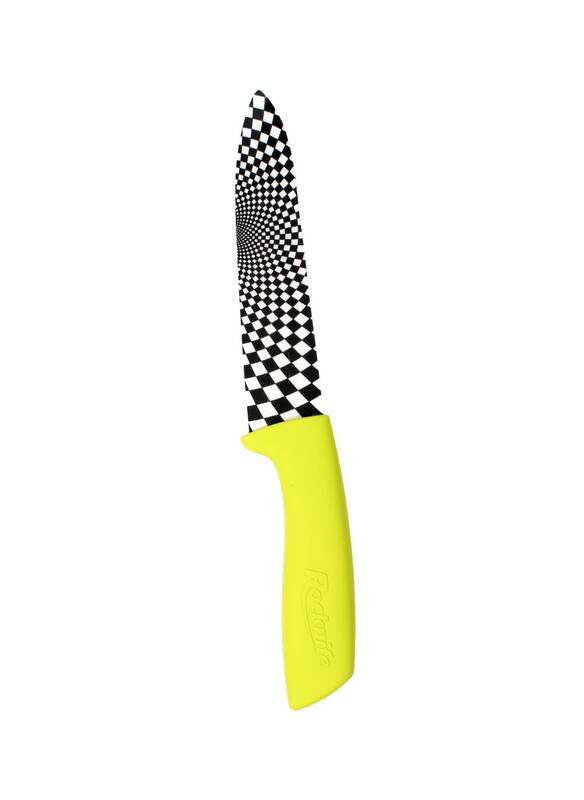 The Professional Chef's Knife is also suitable for cutting chicken, pork, steak or fish, the knife won't react with any foods unlike Steel knives, leaving no smell or odours - and it won't rust. These knives will last for years before sharpening is needed and they come with a protective cover for easy storage. 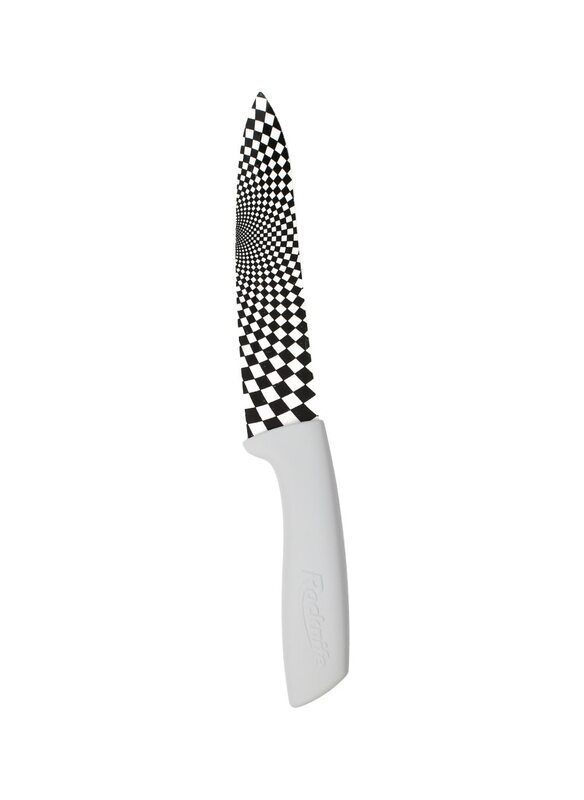 Dishwasher proof and easy to clean with just a quick wipe.